Get your tactical gear on and get ready to defend yourself in the exciting web of adventure of the Atari Black Widow® video slot. Based on the 1982 arcade game by Atari, Black Widow® is all about protecting your web from infiltrators. The armed insects bring you good fortune and with 3 different bonus rounds, this twist on the classic Atari game will have you on the edge of your seat. 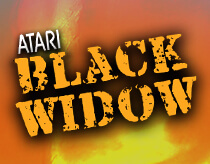 Atari Black Widow® is built with HTML5 which means it can be played with ease in any browser, desktop and mobile, with no download required. Playing Atari Black Widow® is super simple with its intuitive interface. Accessing additional information and pay tables is also easy with the icons located at the bottom of the screen. Step 1 is choosing your bet size per line by using the + & - symbols. There is no need to select the number of lines as this is automatically set to play all 25 lines. Hit the ‘SPIN’ button and watch the machine gun, machete toting insects step into action. The Autobet feature located next to the ‘SPIN’ button lets you select the number of automatic spins you would like the game to make, without the need to keep pressing ‘SPIN’. Achieving a bonus round will automatically stop the Autobet feature and will take you directly to the bonus games. When the reels stop, any winning combinations will be highlighted and will flash. Winnings are reflected under ‘WIN’ and are added to the balance. Obtain 3 or more ‘FREE GAMES’ symbols anywhere and it triggers the free games feature: 3 x Free Games = 15 free spins, 4x Free Games = 20 free spins, 5x Free Games = 25 free spins. Get ‘SEEK & DESTROY’ symbols on reels 2, 3 & 4 to start the Seek & Destroy bonus round. Select 3 hiding places in the jungle of enemy bugs for instant wins. The Exterminator bonus game starts when the ‘EXTERMINATOR’ symbol appears on reels 1 & 5 at the same time. In the Exterminator game, the aim is to shoot the attacking bug with each kill earning you extra credits, plus the potential for earnings multipliers for even more winnings. ‘WILD’ symbols substitute for all symbols except the Free Games, Seek & Destroy and Exterminator bonus games. 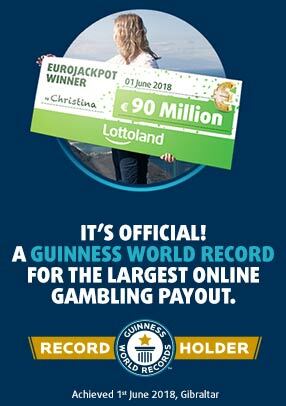 All regular winning combinations with a WILD symbol pays 2X. Three or more WILD symbols at the same time anywhere is an instant win. Three WILD symbols pays 100X your total bet, four WILD symbols, 500X and if luck is on your side and you get five WILD symbols, you then win 3000X your total bet. The ‘AUTOBETS’ feature allows for the game to spin by itself based on the number of auto spins you select ranging from 10 to 50 at a time. The ‘PAYTABLE’ icon reveals the winning combinations and their respective values.